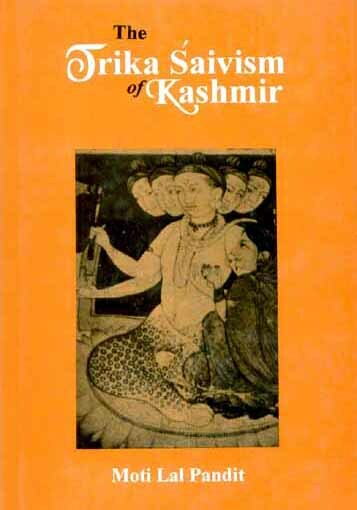 The importance of Kashmir Saivism lies in the fact that an independent school of Saivism, with its own specific ethos and orientation, emerged from the soil of Kashmir during the eighth century of our era, which till the end of twelfth century made great strides both philosophically and theologically. The type of Saivism that emerged during the eighth century is deeply rooted in the religious outlook of Tantrism. It is the Tantric religious outlook which has served as the substratum for the flowering of various schools of Saivism, and which ultimately terminated in the rise of such philosophical schools as the Spanda and the Pratyabhijna. The author of the book has made every attempt at explaining as comprehensively as possible the complex theoretical thinking of the Trika. The Trika, although non-dualistic in orientation, does not obliterate the existence of the person, and that is why it accepts Reality as being of the nature of I-consciousness. According to Trika, Reality is both prakasa and vimarsa, and so the world we ive in is an actual manifest condition of the Absolute. Also its theology of divine kenosis discloses that God is not far away from us, but as light of consciousness constitutes our essential nature. Moti Lal Pandit, had the opportunity of studying the philosophical and Tantric traditions of Trika from various teachers both in and outside the Valley. Trained as a theologian and in modern humanities and classical languages, he has accordingly been the communicator of today's Hinduism and Buddhism when they encounter the modern world. Moti Lal Pandit is at Present Serving as Secretary of Dialog Center International (Arhus Denmark) for Research and Dialog. His many books include: Towards Transcendence; Being as Becoming; Transcendence and Negation: A Study of Buddhist Compassion and Christian Love; Beyond the Word; Sunyata, The Essence of Mahayana Spirituality; In Search of the Absolute; and The Hidden Way: A Study in Modern Religious Esoterism.